Wednesday, October 8th: Award-Winning Ale, Little Local Kiwis, Aptly Named Pumpkins & Lovely Lamb Sausage! Award-winning Belgian-style ales from Propolis Brewing at your Ballard Farmers Market. Copyright Zachary D. Lyons. The awards just keep rolling in for Port Townsend’s Propolis Brewing. Sip Northwest Magazine just named Propolis Brewing’s Spruce Saison the best Belgian-style ale of 2014. Stop by today to sample their current seasonal flavors and experience the award-winning flavor for yourself! Hardy kiwis from Green Water Farm at your Ballard Farmers Market. Copyright Zachary D. Lyons. These adorable little guys are hardy kiwis from Green Water Farm. Most folks think of kiwis as coming from the other side of the globe, like New Zealand, but these kiwis have been bred to thrive in our cool, damp Northwest climate. When they develop that nice red hue like on the top one in the photo above, they are incredibly sweet, and the greener ones are quite tart. They will only be around for a few more weeks, so enjoy them while you can! Winter Luxury pumpkins from One Leaf Farm at your Ballard Farmers Market. Copyright Zachary D. Lyons. Winter Luxury pumpkins from One Leaf Farm are aptly named. Not only do they come with a stunning lacy skin that makes them quite beautifully ornamental while you are waiting to use them, but they have some of the tastiest, smoothest flesh of all pie pumpkins. Give them a try! Lamb sausage from Glendale Shepherd at your Ballard Farmers Market. Copyright Zachary D. Lyons. You know Glendale Shepherd for their amazing fresh sheep yogurt and incredible sheep cheeses. And now, they are offering lamb sausage, too! For sale in bulk packs, they offer their lamb sausage plain, as a lamb garlic sausage, and chorizo lamb sausage. Enjoy! Sunday, October 13th: Parsnips, More Wine, Heirloom Apples, Beautiful Squash, Hot Chile Peppers & More! These organic estate wines come from Wilridge Winery in Madrona. Photo copyright 2013 by Zachary D. Lyons. We are thrilled to introduce our newest vendor, Wilridge Winery, from Madrona. Seattle’s original winery, it was founded in 1988 by husband and wife duo, Paul Beveridge and Lysle Wilhelmi. Wilridge Winery is the oldest continuously operated winery in Seattle. The three wines in the photo above are produced from certified organic grapes from their own vineyards in the Yakima Valley. Wilridge wines were a big hit this summer at Wallingford and Madrona Farmers Markets. And now, you can sample their wine before you buy, right here at your Ballard Farmers Market! Baby parsnips from Oxbow Farm. Photo copyright 2013 by Zachary D. Lyons. Hey kids! It’s parsnip season at your Ballard Farmers Market! Oh, the sweet, rooty autumn deliciousness! Oh, the soups, the mashes, the purees, the root roasts. Oh, the soul-warming local foods of fall. These young beauties are from our buddies at Oxbow Farm over in Carnation, though Colinwood Farms has some already, too. Heirloom Pittmaston Pineapple apples from Jerzy Boyz. Photo copyright 2013 by Zachary D. Lyons. These heirloom Pittmaston Pineapple apples from Jerzy Boyz can trace their roots all the way back to England in 1785. That was before George Washington was first elected president! It belongs to a family of old russeted English dessert apples that tend to be small, an undesirable quality in today’s “bigger is better” mentality. They have a sweet and nutty flavor, though their name, “pineapple”, is more likely associated with their appearance than with their flavor. Rio Grande russet potatoes from Olsen Farms. Photo copyright 2013 by Zachary D. Lyons. And while we are talking about things russeted, which refers to the rough texture of the skin of the fruit or vegetable, hows about these lovely Rio Grande russet potatoes from Olsen Farms. It is just one of the almost two dozen varieties of potatoes they grow in Northeastern Washington. These are, as you might guess, great baking and frying potato, perfect for fall. Stop by Olsen’s tents today to learn about the many different varieties of potatoes they offer, their many characteristics, and the uses for which each is best suited. Bosc pears from Collins Family Orchards. Photo copyright 2013 by Zachary D. Lyons. Okay, it was not my intension to start a string of russeted produce going here, but alas, that is what I appear to have done. These Bosc pears from Collins Family Orchards are just plain awesome, and waiting for you to devour them mercilessly! A bread for any season, this olive fougasse from Tall Grass Bakery is nothing short of addictive. Whether you go with the big, pretzel-y fougasse that I love slicing down the middle and topping with fresh goat cheese, arugula and a little proscuitto (assuming I don’t just inhale it before I get the chance), or the fougasse loaf, which is wonderfully moist and chewy, and full of salty, olive-y, oniony deliciousness that’ll keep for a few days in theory, but which is more likely to disappear with a few hours, you are going to get hooked on this lovely, traditional French bread. Paper Lantern hot chile peppers from Colinwood Farms. Photo copyright 2013 by Zachary D. Lyons. Who says you can’t grow hot chile peppers on the west side of the Cascades? These very hot Paper Lantern chile peppers are grown in Port Townsend by Colinwood Farms. Mind you, they employ a bit of greenhouse technology in order to bump up the BTUs, since hot peppers require hot weather. They’re pretty, but they’re not for the timid. Kabocha winter squash from Gaia’s Harmony Farm. Photo copyright 2013 by Zachary D. Lyons. Kabocha winter squash are perfect food for a cool, fall evening. They are sweet, with a great texture, and you can heat up your whole house roasting them. Then serve them right out of the oven, or make a nice soup with them. Or chunk it up and add it, still warm, to a nice salad. These lovelies are from Gaia’s Harmony Farm. Lamb from Skagit River Ranch. Photo copyright 2013 by Zachary D. Lyons. Skagit River Ranch has some of their amazing lamb available now from a fresh harvest. I’m thinking some lamb sounds pretty good sided with some of that kabocha squash, and a little fougasse, eh? Mmm. Lamb. Cream cheese, apricot, raspberry and apple kolach from Little Prague European Bakery. Photo copyright 2013 by Zachary D. Lyons. These traditional kolach pastries have their origins in the Czech Republic, so it makes sense that you can get them from Little Prague European Bakery. They are made using local flour from Shepherd’s Grain, and come in a variety of yummy flavors. Above, from the left, you see cream cheese, apricot, raspberry and apple. “Carbon steel pans are great for searing and caramelizing – and they make fantastic over-easy eggs! They are similar to cast iron, but forged rather than cast. This makes the pans lighter and easier to handle, as well as less porous and quicker to season. They can take high temperatures, and they can go from stove top, to oven, to table – where they make a beautiful addition!” Sometimes, it is just easier to quote the vendor’s website, you know? Especially when it is as well-written as is the site for Blu Skillet Ironware. Patrick Maher and Caryn Badgett make these gorgeous pans right here in Ballard. I do most of my cooking on stainless steel pans from Revere Ware. When they were first introduced in 1938, Revere Copper & Brass made a point of referring to them as exhibiting the best of both form and function, and that was important after the Great Depression. After all, if you were going to spend money on cookware, you want it to last, you want it to work, and you want something you can show off to your dinner guests. And today, as we limp our way out of the Great Recession (because even though it was, in fact, a depression, apparently it is not cool anymore to actually call it that), things are no different. We want quality, form and function. Blu Skillet gives us just that. I have been putting one of their 10″ pans through its paces for a couple of months now, cooking everything from halibut to corned beef hash in it, and it works great. It is getting more seasoned with ever use. It browns and sears great. It cleans easily. And best of all, it is made right here. Yup, one more thing you don’t need Corporate America to do for you anymore! Booyah! Sunday, July 7th: Boistfort Valley Farm Returns, Growing Things Farm Needs Your Help, Green Beans, Nectarines, Berries Galore & So Much More! Carrots from Boistfort Valley Farm. Photo copyright 2012 by Zachary D. Lyons. Okay, now it’s summer, cuz our good friends from Boistfort Valley Farm have finally returned to your Ballard Farmers Market! We now have our full compliment of row crop farms, and the Market is literally bursting at the seams with incredible local produce direct from the Washington farms that grew it, and much of it far ahead of when we would normally expect to see it. Read on in today’s epistle to see what I mean. Boistfort, for its part, today will be arriving with: artichokes, beets, broccoli, carrots, golden and red chard, cilantro, garlic flowers, green onions, apple mint, chives, oregano, curly and dino kale, green leaf, red oak & bibb romaine lettuce, shelling and snow peas, purple radishes, spinach and more! Michaele Blakely from Growing Things Farm (center) with U.S. Senator Maria Cantwell (left) and Market Master Judy Kirkhuff at Ballard Farmers Market last summer. Photo copyright 2012 by Zachary D. Lyons. Growing Things Farm, which brings all manner of deliciousness every week to your Ballard Farmers Market, from eggs to jams to chickens to fresh veggies, is asking for your help to “Raise the House.” You see, Growing Things Farm is located in a flood plain in Duvall. Many farms are. Why? Because the flood plains that line our river valleys in Western Washington are extremely fertile – made so by the forest matter and minerals that flow down from the Cascade Mountain – and are unattractive to developers, meaning they have land still available for farming in one of the most populated counties in the nation. A major flood in 2006 damaged the farmhouse at Growing Things Farm, rendering it uninhabitable until it can not only be repaired. See, the house cannot be torn down and rebuilt under current laws, but it can be raised above historic flood levels, and then repaired. King County has offered the farm a grant to raise the farmhouse, but not to repair the house itself. For that, the farm needs your help. The farm launched a Kick Starter campaign to raise $20,000 to repair the house. With a little over a week left, they are two-thirds of the way to their goal. Please to go to their Kick Starter page and contribute to saving the farmhouse, and in so doing, saving the farm itself. A program called Fresh Bucks has been created by a partnership between the City of Seattle and local farmers markets to double Food Stamps, now known as SNAP, at Seattle farmers markets. Beginning Sunday, July 14th, for every SNAP dollar spent at Ballard Farmers Market, SNAP benefits users can receive an additional dollar to spend on fruits & vegetables, up to 10 dollars. Get them, and more information, from at Market Information Desk at your Ballard Farmers Market. You can also get more information from the Washington State Farmers Market Association. Morel mushrooms from Foraged & Found Edibles.Photo copyright 2012 by Zachary D. Lyons. Jeremy reports that his Foraged & Found Edibles will have lots of lovely wild gray morel mushrooms today at your Ballard Farmers Market. It has been a great year for morels, and really, just about everything else, so be sure to take full advantage will you can! Arctic Star nectarines from Tiny’s Organic Produce. Photo copyright 2013 by Zachary D. Lyons. What the…? Nectarines?!? Yes! These are Arctic Star nectarines from Tiny’s Organic Produce photographed on Friday at our sister Madrona Farmers Market. I kid you not! This year really is out of control in the most delicious of ways. Oh, and if that wasn’t enough, Tiny’s also has begun to harvest Flavorosa pluots, too. Seriously. Wow. Green beans from Lyall Farms. Photo copyright 2013 by Zachary D. Lyons. And green beans! Yes, green beans. These are from Lyall Farms, but we’ve also seen them already from Magana Farms, and they have yellow wax beans, too! We may even see some hericot verts from Alvarez Organic Farms today, as well. Oh, the humanity! Blueberries, blackberries, raspberries and strawberries from Hayton Berry Farms. Photo copyright 2013 by Zachary D. Lyons. And how about this early rainbow of berries? Yes, our friends at Hayton Berry Farms are already harvesting blueberries, blackberries, raspberries and strawberries from their Skagit Delta fields, and it is only July 7th! Oh, I am liking this summer. Fava beans from Stoney Plains Organic Farms. Photo copyright 2013 by Zachary D. Lyons. This is a great year for fava beans. What? You’ve never eaten them? You think they’re too much work? Well, let me tell you a little secret. If you get them when they’ve got small, young, tender pods, the best way to eat them is grilled. Seriously. Just remove the stem and the string on one side, wash, slather with olive oil, salt and pepper to taste, and on the grill they go. Once the pods get soft, pull them off, hit them with a little nice finishing salt, and serve. You eat the whole thing, pod and all. But this is finger food. There will be one more string in them to remove. Get messy. Have fun. Eat well! You’ll find a nice big pile of these fava beans today at Stoney Plains Organic Farm. Cherry tomatoes from Colinwood Farms. Photo copyright 2013 by Zachary D. Lyons. Wait, what?!? Tomatoes? Westside tomatoes? We usually don’t see these much before August, in a good year. And yet here they are. These gorgeous sungold and cherry tomatoes are from Colinwood Farms over in Port Townsend. But One Leaf Farm will have some sungolds today, too, for the early birds, and we’ve already seen a few beefsteak tomatoes from Alm Hill Gardens. If it were possible, I’d be speechless right now. Purple Majesty new potatoes from One Leaf Farm. Photo copyright 2013 by Zachary D. Lyons. Here is yet another crop we’ve been woe to see until weeks later in recent years: new potatoes. These beauties are new Purple Majesty potatoes from One Leaf Farm. They are so sweet at this time of year. We’ve also already seen them from Summer Run Farm and Colinwood. If you aren’t eating fresh, local deliciousness at every meal this summer, you are truly missing out! Perfection apricots from Martin Family Orchards. Photo copyright 2013 by Zachary D. Lyons. Seriously. Stop already! Yes, these are Perfection apricots from Martin Family Orchards. They are two weeks earlier than their earliest arrival for which I have photographic evidence. I just checked my files. These are those big, juicy, meaty apricots that will make a delicious mess of your favorite shirt. Enjoy! Broccoli from Summer Run Farm. Photo copyright 2012 by Zachary D. Lyons. Summer Run Farm is known for rocking the broccoli, and this year is no exception. And never fear warm nights on which you don’t want to warm up your kitchen, roasting or steaming broccoli. This stuff grills amazingly well! Summer Run has gorgeous, massive heads of lettuce, of course, too, and lots more! Red Haven peaches from ACMA Mission Orchards. Photo copyright 2013 by Zachary D. Lyons. Oh, you’re killing me! Peaches?!? Yup! Peaches are coming in this year a week or two ahead of their historic earliest arrivals! These are Red Haven peaches from ACMA Mission Orchards. These slightly smaller early season peaches still pack a big, sweet, juicy punch you will miss come October. Pallo Rossa radicchio from Oxbow Farm. Photo copyright 2013 by Zachary D. Lyons. Absolutely unbelievable! This is the earliest, by at least two weeks, we have ever had radicchio make an appearance at our markets. Until this month, it was mostly the perennial crops like berries, tree fruit and such that was way, way ahead of schedule, but now the row crops are catching up! This Pall Rossa radicchio from Oxbow Farm makes for amazing bitter salads with a nice salty treatment, like feta or bleu cheese or anchovies, and it is also great grilled. Either way, finish it off with a little drizzle of balsamic vinegar to add a nice touch of sweetness. Raspberries from Alm Hill Gardens. Photo copyright 2013 by Zachary D. Lyons. Alm Hill Gardens is known for producing a lot of delicious food, but they may be most well known for their raspberries. The farm was first and foremost a berry and flower producer before diversifying significantly over the last 15 years or so. They have acres and acres of raspberries, some in the open air, and some under row tunnels, resulting in some of the tastiest berries you will even encounter. Sure, you can find cheaper berries at the Big Box stores, but what’s the point? I, for one, spend good money on good quality. Saving a few bucks to have something I don’t really enjoy just seems wasteful to me. Rack of lamb, saddle of lamb and standing beef rib roasts from Olsen Farms. Photo copyright 2010 by Zachary D. Lyons. Now’s a great time of year for grilling up some steaks and chops, or slow cooking a nice roast on the barby. Olsen Farms has lots of great lamb, beef and pork raised on natural pastureland way over in Aladdin, just northeast of Colville — so far into the northeast corner of Washington, I swear it is almost in Alberta. No farm travels farther within Washington to sell at farmers markets, and we are all the richer for their efforts. Succulents in bloom from Phocas Farms. Photo copyright 2013 by Zachary D. Lyons. Sunday, March 24th: Spring Has Sprung, Bringing Fiddleheads, Easter Hams, Plants For Your Garden & More! Easter hams from Olsen Farms. Photo copyright 2013 by Zachary D. Lyons. Easter is in one week, and churches all over are handing out palm fronds today. Time to get you a ham! Olsen Farms has plenty of freshly smoked hams for your holiday feast at your Ballard Farmers Market today. But if a beef or lamb roast is more your speed, they’ve got those waiting for you, too. But do pick it up today, so you are ready to go next Sunday, eh? And it’s not too late to pick up some lamb or a nice brisket for Passover, too, though you’ll want to start it thawing as soon as you get home today. After all, Passover begins at sundown Monday. Ladyfern Fiddleheads from Foraged & Found Edibles. Photo copyright 2012 by Zachary D. Lyons. I know I’ve been talking about signs of spring for weeks now, but this past Wednesday, spring actually finally arrived. If the 12 hours of daylight didn’t give it away, certainly the snow showers and wind storms should have. Ah, March in the Pacific Northwet. Well, as if to formally pronounce the arrival spring, Foraged & Found Edibles brings the first Ladyfern fiddleheads to your Ballard Farmers Market today. Woohoo! And if that weren’t enough, they’ve got wood sorrel and stinging nettles today, too! Blueberry plants from Cascadian Edible Landscapes. Photo copyright 2013 by Zachary D. Lyons. April approacheth, the sun is out, and it is time to get back into the garden! And Cascadian Edible Landscapes has returned to help us in that endeavor. They’ve got a tremendous selection of vegetable starts and berry plants. Like these beautiful blueberry plants. Imagine stepping out your backdoor to enjoy blueberries from your very own blueberry bush for years to come. Sounds pretty nice, eh? Well, get ’em now, and get ’em in the ground, while it is still the rainy season. That way, they’ll get their roots established before things dry out this summer. Red Vein Sorrel from Stoney Plains Organic Farm. Photo copyright 2012 by Zachary D. Lyons. Stoney Plains Organic Farm has sorrel of the domesticated variety this week. This is Red Vein sorrel, though they also have regular sorrel, too. This regenerative, herbaceous leafy green is just what the doctor ordered, perhaps literally, for spring. Stoney Plains also has plenty of garden plants, too, including strawberry plants. Get them in the ground now, and enjoy your own berries come June! Tulips from Pa Garden. Photo copyright 2013 by Zachary D. Lyons. Did you notice how full the Market was last week? We had five farms return last week, including all of our Hmong flower farms. And if that ain’t an harbinger of spring, I don’t know what is! Of course, this week, they were probably harvesting flowers in the snow in the Lower Snoqualmie Valley. Stop by today, and grab some of these lovely tulips from Pa Garden. Fresh from the field, they are ready to burst open in brilliant color in a vase on your table! Kale Raabs from Nash’s Organic Produce. Photo copyright 2013 by Zachary D. Lyons. The start of spring also signals the approaching end of kale season. Yeah, I know. Around here, it is always kale season. But the fact is, this time of year, kale wants to reproduce, just like any other healthy species. So, the kale plants in the field, as well as the collards, cabbages and many roots, start to bolt, sending out their flowers in pursuit of procreation. The result is raab. Yes, this time of year, we get to enjoy any number of different kinds of raabs as these plants reach the end of their lifecycle and get on with the job of producing the next. Raabs, those tender, flowery tops of these plants, are lovely simply sautéed with some garlic, and they can be great grilled, too. And Nash’s Organic Produce has a whole bunch of them right now! Gil holds ducklings at Stokesberry Sustainable Farm. Photo copyright 2013 by Zachary D. Lyons. Here is this week’s installment of This Photo Is Almost Disturbingly Cute. This is our own Gilbert holding three adorable, fluffy ducklings at Stokesberry Sustainable Farm during our visit there a few weeks ago. I suppose the cuteness factor may trouble some folks, but for those who enjoy duck, know that these little guys will enjoy a happy, healthy and loved life before they come to Market. That’s just the way the Stokesberry’s roll. Dandelion greens from Children’s Garden. Photo copyright 2013 by Zachary D. Lyons. 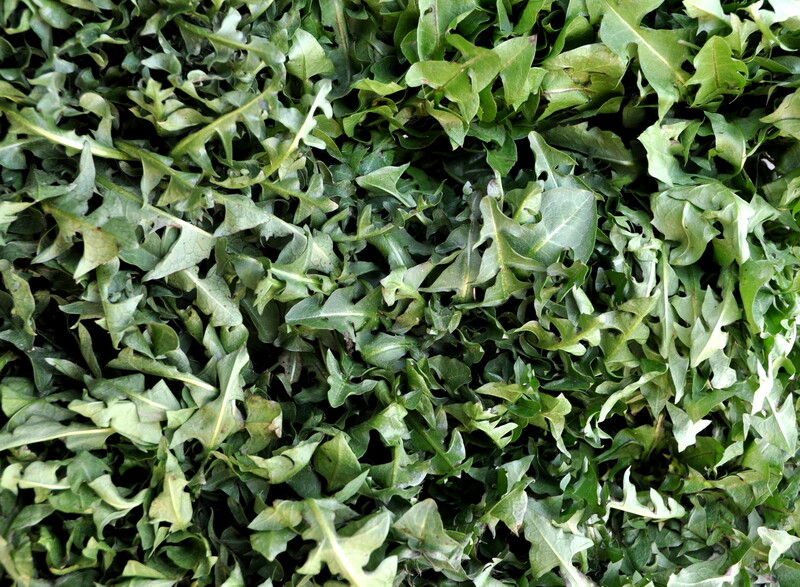 Speaking of regenerative greens for a spring tonic, how’s about some of these tasty dandelion greens from Children’s Garden? These quite bitter greens may make you pucker a bit, but dress them with some anchovies, olive oil and some of that Twin Oaks goat feta, and maybe a drizzle of some balsamic vinegar, and you’ve got one delicious, nutritious salad. Or you can make soup, tea, or even juice them, and grilling them is not out of the question. Your liver will thank you! Succulents from Phocas Farms. Photo copyright 2013 by Zachary D. Lyons. Don’t forget the ornamental side of your garden. 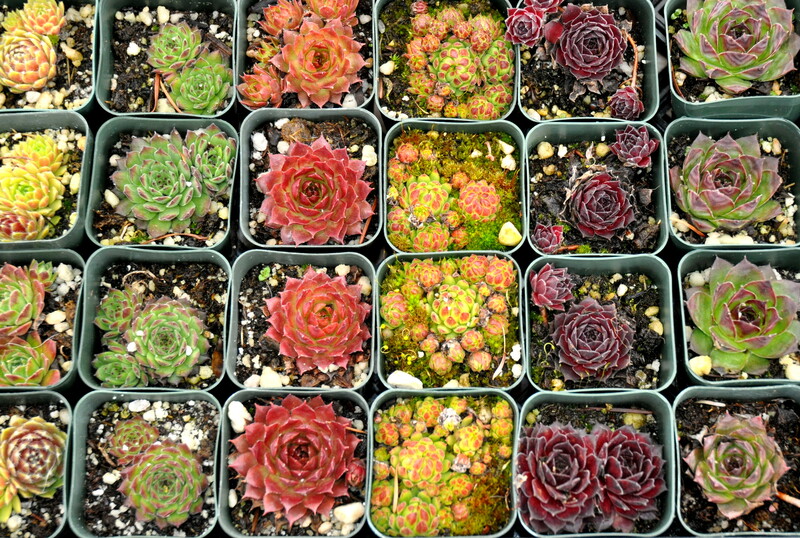 And if you’re lazy, like me, these succulents from Phocas Farms are for you! Get them in the ground now, and let them get their roots well established while it’s still rainy, and they will reward you all summer long by being draught tolerant… and gorgeous! Just look at all these colors. Phocas Farms propagates more than 200 varieties of them. So get a whole bunch of them, and make for a colorful summer without all that watering. Red mustard greens from Colinwood Farms. Photo copyright 2013 by Zachary D. Lyons. 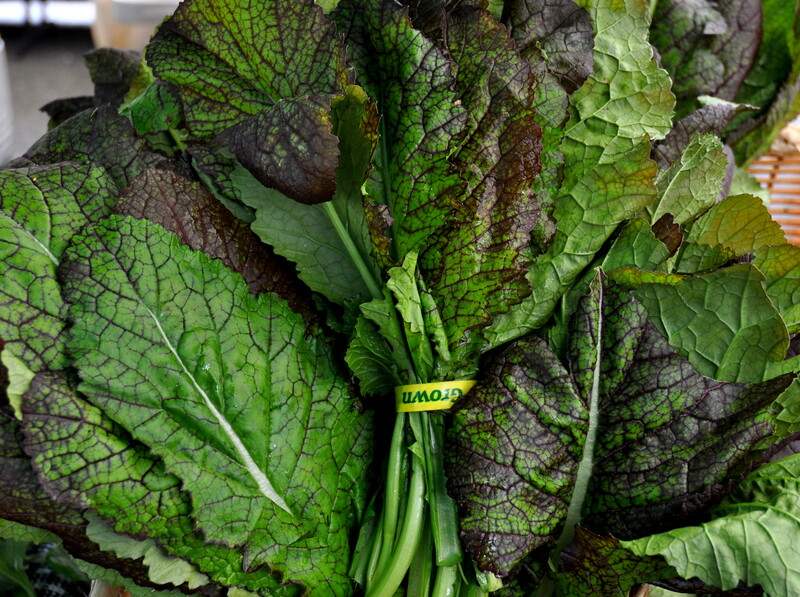 More scrumptious greens for spring — these being red mustard greens from Colinwood Farms. These are great lightly wilted with olive oil and garlic, or raw in a nice, spicy salad, as they are very tender. Colinwood has lots of other greens now, too, as well as new carrots. Enjoy! Fresh eggs from Growing Things Farm. Photo copyright 2009 by Zachary D. Lyons. With Passover and Easter looming ahead this week, you need eggs! Lots of eggs!!! For your seder plate or your Easter egg hunt, for your famous deviled eggs to bring to the Easter gathering at Grandma’s house, or for that extraordinary brunch you’ll be cooking up next weekend. We’ve got an abundance of eggs in your Ballard Farmers Market right now, and these are the best eggs you’ve ever tasted. Seriously. The eggs above, for instance, are from Growing Things Farm, and the farm is renowned for their amazing eggs. They have hard shells and big, beautiful, richly yellow yolks, and they are laid by happy chickens that get to run around outdoors and hang out with roasters. I know. I’ve seen them. So, stock up!